Rapid changes in technology, market demands, and expectations have paved the way for the conceptualization and implementation of Agile methods and values in many organizations. Agile relies on adaptive planning and iterative development and delivery. It focuses primarily on the value of people in getting the job done effectively. SAMC™Certified Professionals should appreciate the concepts of Agile development and have the ability to compare and choose the Agile methodology appropriate in a given situation. Applicants will be awarded the Agile Executive Certified (SAMC™) certificate by SCRUMstudy after successfully passing the certification exam. TARGET PARTICIPANTS: This certification is appropriate for anyone interested in becoming familiar with the concepts and practices of Agile Project Delivery, and who wants to have a working knowledge of the various Agile methodologies. a. Access the online course on 'SAMC)'. c. Schedule the two hour proctored exam. c. If unable to pass the exam, you can reapply by paying P9,000.00. 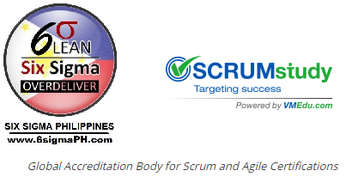 Scrume Agile Master Certified (SAMC™) ​professionals possess a wide range of knowledge and understanding of the values, methods and intricacies of Agile methodologies, including Scrum. The purpose of the exam is to confirm participants have the ability to compare and choose the appropriate methodology in a given situation.